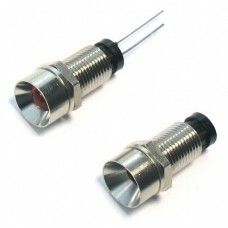 A range of panel mounting LED indicators in high quality bright chrome. Fitted with fixing nut and washer. This leds can be used with the Pro Shift controller. The mounting hole should be 8mm and the bezel diameter is 9.5mm.